Disc 1: 1. Hey Joe (insrumental basic track, take 1), 2. Hey Joe (insrumental basic track, take 2), 3. Hey Joe (with lead vocals, backing vocals and solo guitar, take 3), 4. Hey Joe (vocals and overdub session), 5. Hey Joe (acetate), 6. 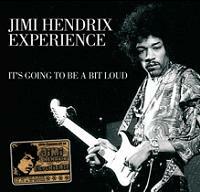 Hey Joe (UK mono version, Track Records), 7. Stone Free (acetate), 8. Can You See Me (instrumental basic track, take 1), 9. Can You See Me (instrumental basic track, take 2), 10. Can You See Me (instrumental basic track, take 3), 11. Can You See Me (instrumental basic track, take 4), 12. Can You See Me (with lead vocals and solo guitar, take 5), 13. Can You See Me (acetate), 14. Can You See Me (UK mono version, Track Records), 15. Love Or Confusion (UK mono version, Track Records), 16. Foxey Lady (acetate), 17. Foxey Lady (outtake), 18. Third Stone From The Sun (vocals and overdubs session w/Chas Chandler speaking from Control Room), 19. Third Stone From The Sun (acetate), 20. Red House (take 1), 21. Red House (take 2), 22. Red House (take 3), 23. Red House (basic track), 24. Red House (acetate) Tracks 1-15 DeLane Lea Studios at 129 Kingsway, London > Tracks 1-6 October 23, 1966 and 7-15 recorded between November 2 & November 24th, 1966. 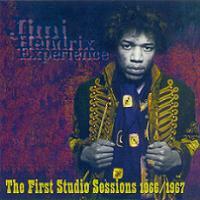 Tracks 16-24 recorded at CBS Studios at 13 New Bond Street, London on December 13, 1966. Disc 2: 1. 51st Anniversary (instrumental basic track, take 1), 2. 51st Anniversary (instrumental basic track, take 2), 3. 51st Anniversary (instrumental basic track, take 3), 4. 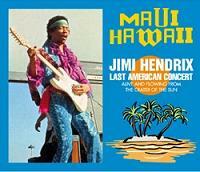 51st Anniversary (lead vocals, overdubs session), 5. 51st Anniversary (acetate), 6. Purple Haze (outtake), 7. Purple Haze (acetate), 8. Let Me Stand Next To Your Fire (basic track, take 1), 9. Let Me Stand Next To Your Fire (basic track, take 2), 10. Let Me Stand Next To Your Fire (basic track, take 3), 11. Let Me Stand Next To Your Fire (with solo guitar), 12. Let Me Stand Next To Your Fire (with solo guitar and vocals), 13. Let Me Stand Next To Your Fire (outtake), 14. Let Me Stand Next To Your Fire (acetate), 15. The Wind Cries Mary (instrumental basic track), 16. The Wind Cries Mary (acetate), 17. The Wind Cries Mary (UK mono version, Track Records), 18. Remember (instrumental basic track, take 1), 19. Remember (instrumental basic track, take 2), 20. Remember (instrumental basic track, take 3), 21. Remember (instrumental basic track, take 4), 22. Remember (tune up), 23. Remember (instrumental basic track, take 5), 24. Remember (instrumental basic track, take 6), 25. Remember (instrumental basic track, take 7), 26. Remember (instrumental basic track, take 8), 27. Remember (instrumental basic track, take 9), 28. Remember (acetate) Tracks 1-7 DeLane Lea Studios at 129 Kingsway, London on January 11, 1967. Tracks 8-17 recorded at Olympic Sound Studios at 117 Church Rd., Barnes, London on February 3, 1967 and Tracks 18-28 recorded February 8, 1967. Disc 3: 1. I Don't Live For Today (instrumental basic track, take 1), 2. I Don't Live For Today (instrumental basic track, take 2), 3. I Don't Live For Today (instrumental basic track, take 3 (typo on back sleeve and booklet, says take 1)), 4. I Don't Live For Today (instrumental basic track, take 4), 5. I Don't Live For Today (vocal overdubs session, take 5), 6. I Don't Live For Today (acetate), 7. 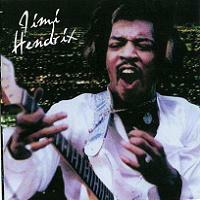 Manic Depression (with vocals take 1), 8. Manic Depression (false start, take 2), 9. 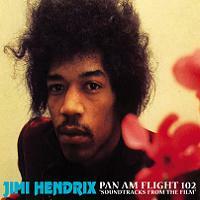 Manic Depression (instrumental with solo guitar), 10. Manic Depression (acetate), 11. Are You Experienced (acetate), 12. Highway Chile (acetate), 13. May This Be Love (alternate mix), 14. May This Be Love (acetate) bonus tracks recorded live: 15. I Was Made To Love Her/Ain't Too Proud To Beg, 16. Midnight Hour Tracks 1-10 recorded at DeLane Lea Studios, London with 1 through 6 on February 20, 1967 and Tracks 7-10 on February 23rd, 1967. 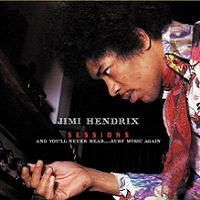 Tracks 11-14 recorded at Olympic Sound Studios, London on April 13, 1967. Tracks 15 & 16 recorded at BBC1 Playhouse Theater in London for Top Gear show on October 6, 1967. Disc 4 (bonus disc): 1. Introduction by Jochem Rathmann, 2. Foxey Lady, 3. Hey Joe, 4. Stone Free, 5. Interruption by Jochem Rathmann, 6. Let Me Stand Next To Your Fire, 7. Purple Haze (intro by Noel Redding) Recorded at Twenclub in Hamburg, Germany NDR Funkhar, Studio1 FM Radio Broadcast on March 18, 1967. In all actuality this is a nicely packaged set from Rattlesnake. But I had to knock off points for the nearly undecipherable notes on both the back panel of the Jewelcase, and the same notes in the booklet. The font size is so small and the yellow print so faint, it took me all day to try understand what it says! This is not an isolated problem with CD's in general, I just don't get how the studios and artists can't come to terms with a format where you can actually read what information is included. That is the only negative thing I have to say about this 4CD set. The cover art, the booklet photos and the beautiful picture discs provide collectors with a very classy and great sounding addition to you bootleg shelf. 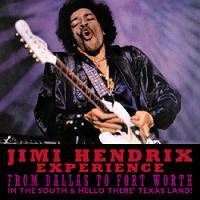 What we have here is a first-time formal effort that a label has put such a focus on the early years of the Jimi Hendrix Experience, in terms of Studio outtakes and related material. The format is repetitious but the varied sources for the tracks help break up the monotony before it gets to be too much. Hendrix afficianados chime in here but any previously released material here seems to be minimal and revolves around the bootleg Kiss The Sky (CUMA 00016). The tracks in common here include the one outtake for "Purple Haze", the first 4 takes of "Red House", the first 4 takes of "I Don't Live For Today", one of the basic tracks for "Fire" and track 15 on disc 2, the instrumental take of "The Wind Cries Mary". While I do not have that disc to compare to, the quality certainly isn't any better than what Rattlesnake has presented and the period is captured in greater detail on this new set. The acetate sources here sound magnificent too! I was pleasantly surprised at how little surface noise was evident on those particular tracks. Sitting through session tapes like we have lately with the Scorpio 5CD box , Sessions, that documents the later years so well - and now this set, it can be a mesmerizing experience. Fascinating too. But it is refreshing to get to the end of Disc 3 and get the change-up of the Top Gear tape- and a nice choice for inclusion as this is a fun performance. This just sets up bonus disc 4, which has got to be as clean of a tape transfer of the previously available Hamburg Radio Broadcast from the Twenclub on March 13, 1967. 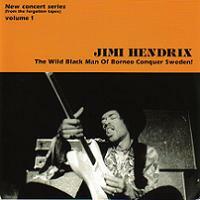 Kind of a funny start here as host Jochem Rathman wants Jimi to tell the story behind "Hey Joe" and he just sort of laughs it off and the band launches into "Foxey Lady". And Noel Redding becomes the ambassador by bridging the language gap by introducing the final tune of the set ,"Purple Haze". A really great stereo recording and a nice bonus to The First Studio Sessions 1966/1967 by Rattlesnake. Well done and highly recommended.